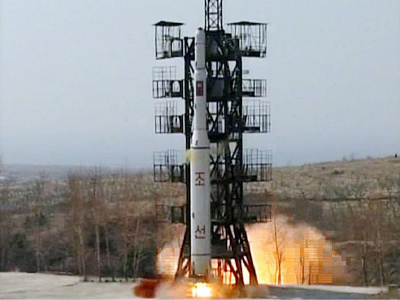 Seoul claims North Korea is assembling another heavy ballistic missile similar to the ill-fated one launched on April 13. 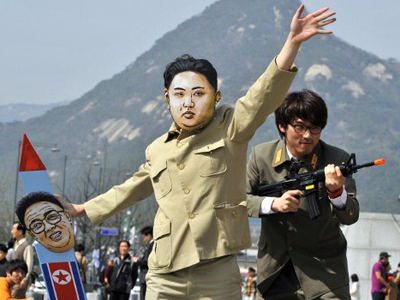 ­Seoul’s assumptions are based on American space reconnaissance data. 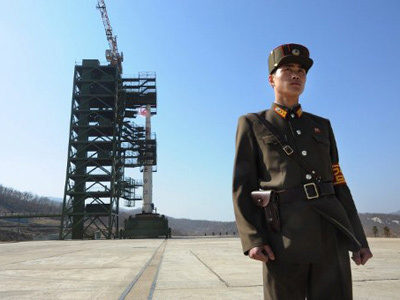 They say both rockets were delivered at the site simultaneously around March 23. One rocket was unsuccessfully launched last week, falling to pieces less than two minutes after the launch. 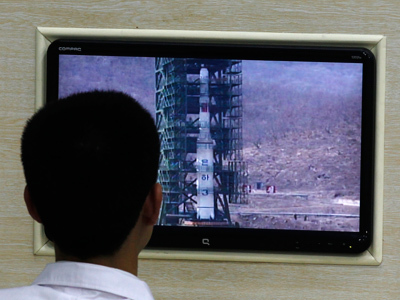 The second rocket, presumably of the same type and specifications, is being prepared for launch in a hangar at at the Tongch'ang-dong Space Launch Center in woodland some 50 kilometers from the border with China. 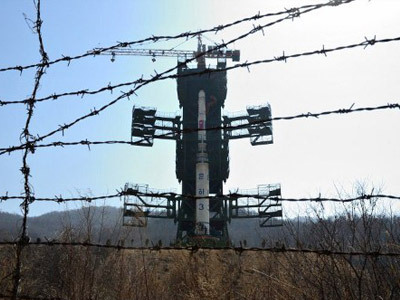 Seoul believes Pyongyang wants to compensate for the unfortunate launch of the Unha-3 that was supposed to take first North Korean satellite into an orbit. 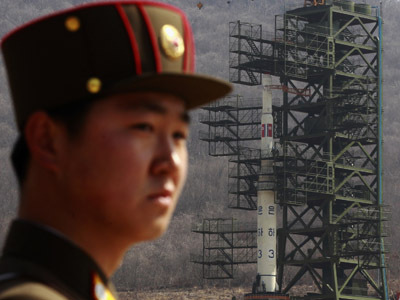 The UN Security Council banned North Korea to launch any ballistic missiles of both military and space research scientific missions after Pyongyang made two attempts to test ballistic missiles in 2006 and 2009. Despite the prohibition, North Korea will continue to develop its military might, promised country’s new leader Kim Jong-un. “National military industrial complex must develop a growing number of advanced weapons of the highest quality,” stressed the North Korean leader in his first statement since coming to power last year. 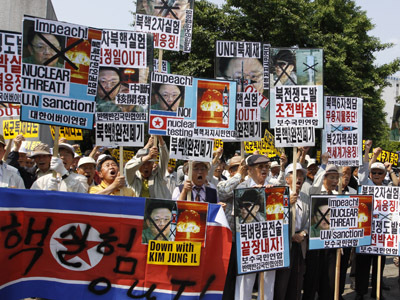 After a successful test of a nuclear warhead in 2006 North Korea secured a role of an international pariah, falling under numerous UN-imposed sanctions. This explains why the reaction of the international community on North Korea’s efforts to develop a powerful rocket is so negative. 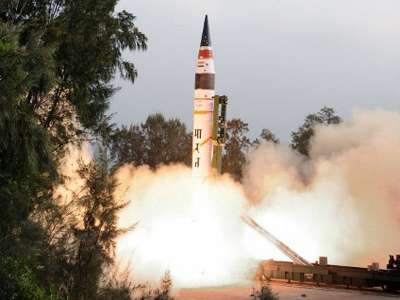 ­On Thursday, India reported on a successful launch of its first long-range intercontinental ballistic missile, capable of bearing a nuclear warhead. The range of over 5,000 kilometers ensures that now India can hit targets on most of the Eurasian continent, including some European countries. This fact, nevertheless, seemingly does not bother the US, which declared that what India did differs vastly from North Korea’s actions. “India’s record stands in stark contrast to that of North Korea, which has been subject to numerous sanctions by the UN Security Council,” said White House spokesman Jay Carney. That comment is a contrast as well. After India tested its first nuclear bomb in 1974, America put the country under sanctions for the next quarter century.